First impressions are everything, and that is especially true in the travel experience. Even the smallest slight can forever leave us disliking new cities and even countries. Usually it’s a factor of how we as travelers feel, and arriving into the center of Mumbai at 2am, I felt tired after a long trip from the US to start my adventure with Abercrombie & Kent in India. I was also excited though, eager to start exploring a country I had been unsure about in the past, but which I was eager to experience. It’s only fitting then that my caretaker in those oh so important first few days in the country also happened to be one of the world’s great luxury hotels, the iconic Taj Mahal Palace Hotel. As a history and travel buff, whenever I have the opportunity to experience one of the grand dames of the hospitality world, it’s a special experience. Whether it’s The Strand in Yangon, Mandarin Oriental in Bangkok or, yes, the Taj Mahal Palace in Mumbai, the experiences quickly become ones that I know I’ll never forget. First opening its doors in 1903, the Taj quickly became one of those famous properties that everyone who is anyone patronizes on their travels to the subcontinent. Located next to the Gateway of India, the Taj has played host to just about anyone famous in the last century, from kings and queens to presidents and rock stars, but this incredible history only sets the stage for a great luxury experience, it’s the details that truly set it apart. Popular or famous hotels have a decision to make. They can rest on their proverbial laurels, knowing that people will visit regardless of innovations. Then you have others like the Taj that seamlessly morph into each new decade, making changes and improvements as needed, but always with one goal in mind – providing exceptional service to their storied clientele. My first introduction not only to the Taj brand of luxury hotels and resorts, but in Indian hospitality, I couldn’t imagine a better host. Over the course of a week and a half, I slowly became convinced that luxury properties in India may be the best in the world, and that journey of discovery started with my Taj experience in Mumbai. 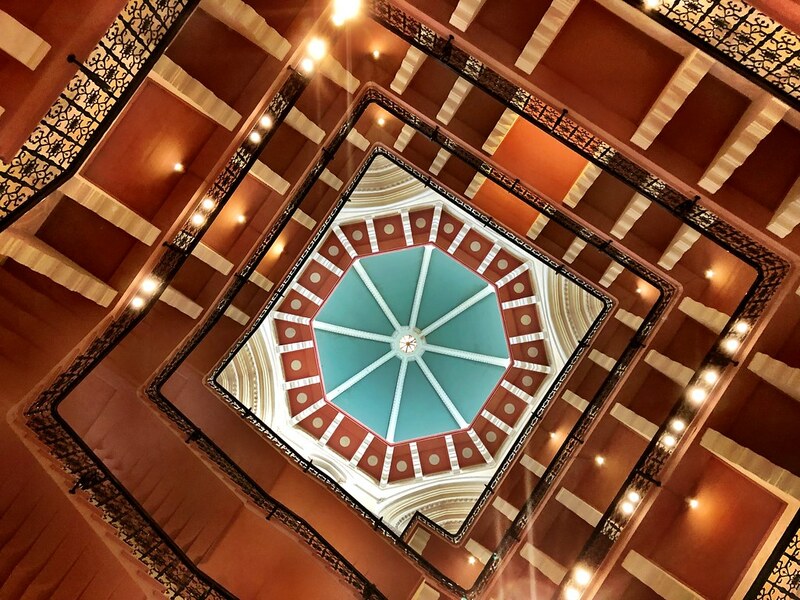 Style and design is an important part of the experience at the Taj in Mumbai, especially in the historic Palace wing of the hotel. Suspended stairways that seem to extend into the heavens, everything harkens back to another era but in a way that also seems modern and comfortable. It’s a tough mission to accomplish, to maintain that sense of history while also giving guests in the 21st century a world-class luxury experience. I’ve seen some hotels fail and others succeed at this effort, and the Taj Mahal Palace Hotel certainly succeeds. With 550 rooms and suites, the staff to guest ratio is excellent, to the point where I soon felt that I was a valued guest and not just a number because, in all honesty, I think they treat all of their guests as if they were kings or rock stars. In a world where service and attention to detail are sadly in increasingly short supply, that’s a true asset and immediately makes guests feel at home, at ease and of course eager to return. One aspect of traveling in India that I was concerned about in regards to hotels was being too cut off and removed. I didn’t want to be walled off from surrounding communities, instead I wanted to feel as if I was truly visiting new cities and experiencing everything that makes them so very special. That’s why I was so happy about the location of the Taj Mahal Palace in Mumbai. 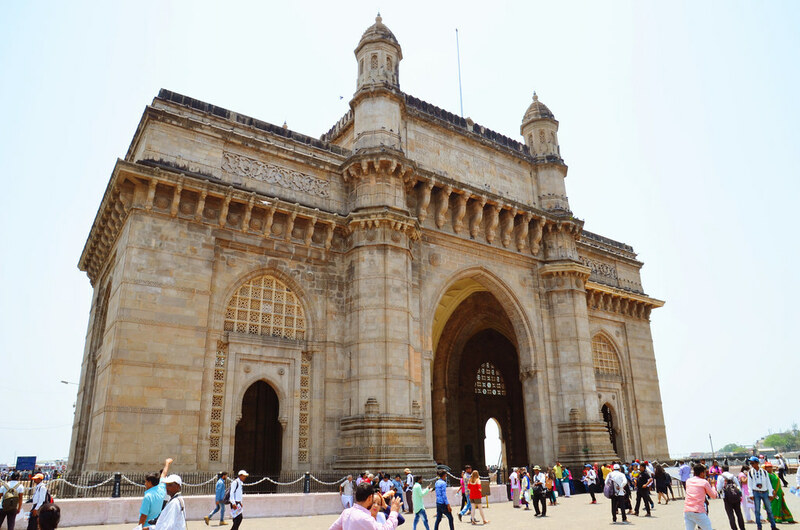 Thanks to its unique and impressive history, it very much is at the center of life in Mumbai, itself a major tourist attraction for the millions who visit the city each year. My first full day in Mumbai, as the sun began to set, I walked to the Gateway of India across the street to enjoy the Golden Hour, marveling in the beauty not only of the gate, but the hotel next door. It really is an impressive sight and its location in the city made my own explorations not only easier, but fun in a way no other hotel in the city can accomplish. 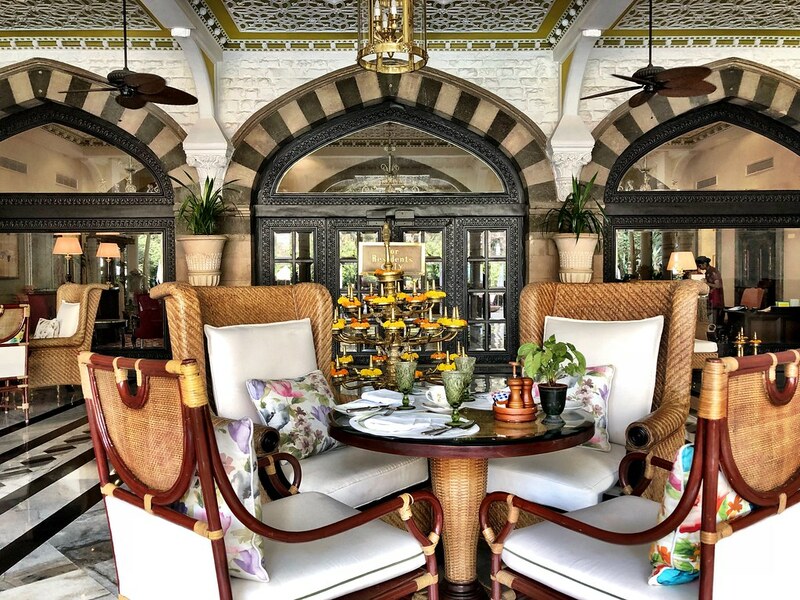 Food is also an important aspect of the Taj Mahal Palace, from a generous breakfast featuring individual service and attention to snacks and meals enjoyed either in their restaurants, or on the terrace under the shimmering stars. Wherever I enjoyed a meal the experience was without fault, helping me not only maximize my time in the city, but also to enjoy new flavors only found in India. More than location and gorgeous design, the Taj Mahal Palace and the entire brand actually excel at what I call progressive luxury. I say this a lot, but there’s a reason for it – the luxury travel experience is not defined by adornments, it’s dependent on service and experiences. How a hotel or resort treats us and enables us to better experience a new destination, that is luxury in the 21st century and it’s a trait that the Taj is especially adept at executing. I experienced it in any number of ways as a guest, but the first time I noticed it is still perhaps the most meaningful. Returning to my hotel suite after a long day I was tired, but eager to get some work done. Wherever I go, I always set up a workstation in my hotel room and, to be honest, it’s usually a mess of wires and gizmos going in every direction. So imagine my surprise when, instead of that nest of wires I returned to a nearly organized workplace. Not only had the staff at the Taj tidied up my electronics, they had secured all of the wires with special ties, which is the first time I’ve ever seen that in a hotel. Along with the organization, they had also left special screen wipes so I could tidy up my gear later on. Frankly, I think that’s incredible. The housekeeping staff must carry hundreds of these electronics ties with them, organizing the gear of modern travelers as they go. That wasn’t a concern in 1903, but recognizing it’s how most people travel in the 21st century, the Taj saw the problem and fixed it. They don’t gain anything by doing this, no, instead they simply help their guests. That’s rare, that’s special and encapsulates the Taj experience not only in Mumbai, but at other Taj properties I patronized throughout my trip. I have had the great pleasure of staying in some of the world’s best hotels, but without exaggeration the hotels and resorts I enjoyed in India now rank amongst the best I’ve ever experienced. Yes, the palaces and lofty spaces of the hotels helped in those experiences, but it was how I was treated that mattered the most and the Taj played a big part in that service. Whether in Mumbai, Jaipur or beyond, my experience as a guest of the Taj is memorable for all of the reasons one might expect but, more importantly, those experiences are memorable for all of the reasons that surprised and delighted in ways I could never have predicted. Now you are talking!! Adored this city. Maybe one of my all time fav’s…Cheers to a lovely article!